The Ramapough Tribe and residents of the Sweet Water Prayer Camp honored injured water protector Sophia Wilansky on the weekend of January 22nd in Mahwah, New Jersey. 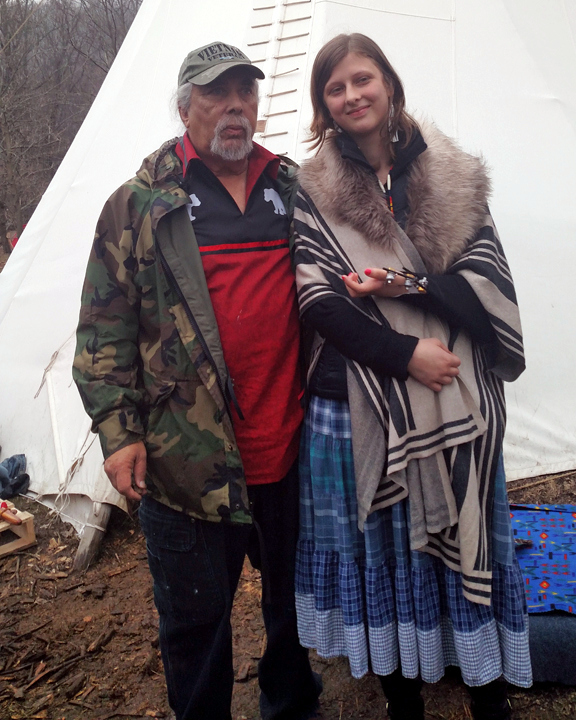 Wilansky was the young woman whose arm was severely injured at the front lines of NoDAPL. 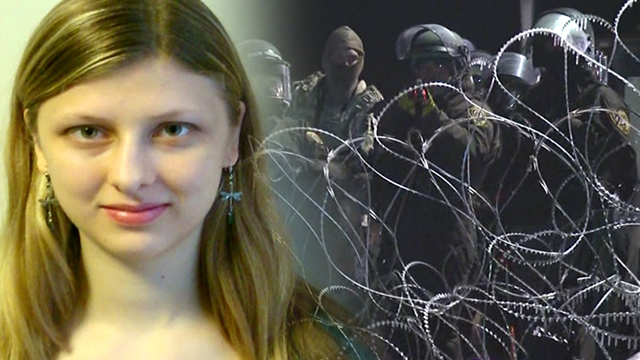 On November 21st 2016, Wilansky suffered the grave injuries to her arm in Standing Rock during a NoDAPL protest when security forces allegedly threw a flash bang grenade which exploded on her arm. Sophia, 21, spent over a month in a Minnesota hospital before returning to her home in New York. 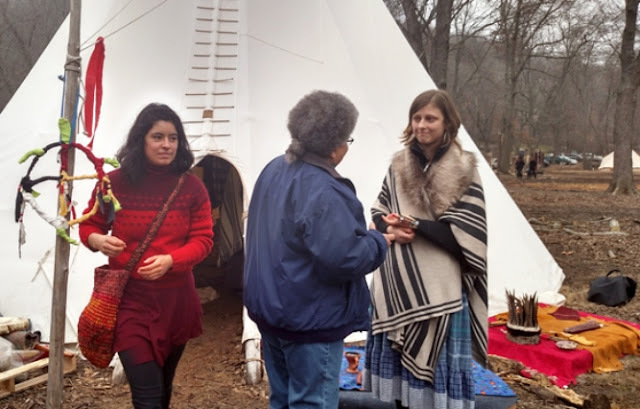 This past October Sophia attended the opening ceremony the Ramapough Tribe hosted to protest the Aim Pipeline, one week before she left for Standing Rock. 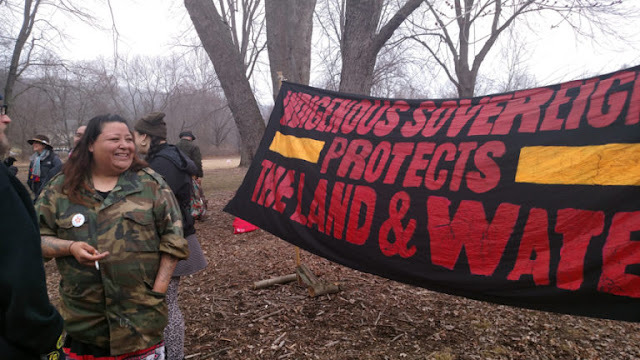 The ceremony at the camp was filled with prayer, song, and words of support and love toward the injured water protector Wilansky. “I was more than honored to know Sophia had returned to us ever humble without anger, exuding a kindness, and who is very nearly angelic. We would like to send our prayers and love to Sophia on her road to recovery, as this young girl has become an inspiration to so many,” said Ramapough Chief Dwaine Perry. Other residents of the camp echoed Chief Perry’s sentiments that Sophia’s visit was an inspiration. “We honor Sophia’s actions because she is a younger sister of our land walking in our Ramapough ways,” said Owl, one of the Ramapough water warriors. 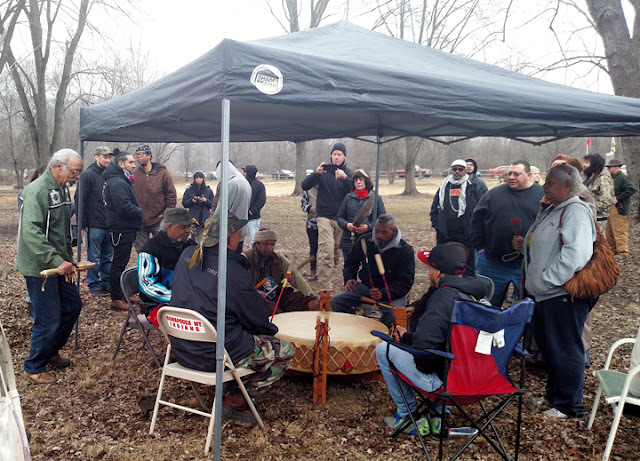 The event hosted almost 200 community supporters and many Standing Rock veterans who recently returned from North Dakota. Responses to "Tribe Honors Injured Standing Rock Water Protector Sophia Wilansky"